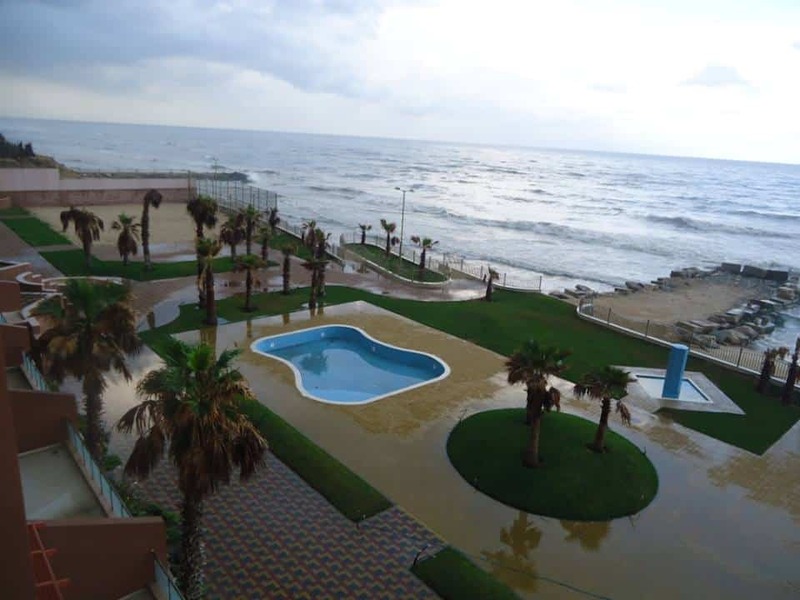 These distinctive Chalets of Blue Beach … more than just a stunning landmark: it’s the one and only fully-facilitated and luxurious chalets within the Gaza Strip. With its elegant interiors, spacious landscapes, entertaining outdoors and indoors facilities and its special selection of Eastern and Western restaurants and coffee shops; The Chalets symbolizes the ideal escape for individuals and families from the busy and hectic lifestyles.At Blue Beach Chalets everyone is welcome, as it has got something for everyone. It is designed to suit long and short stays as well as a one day treat. 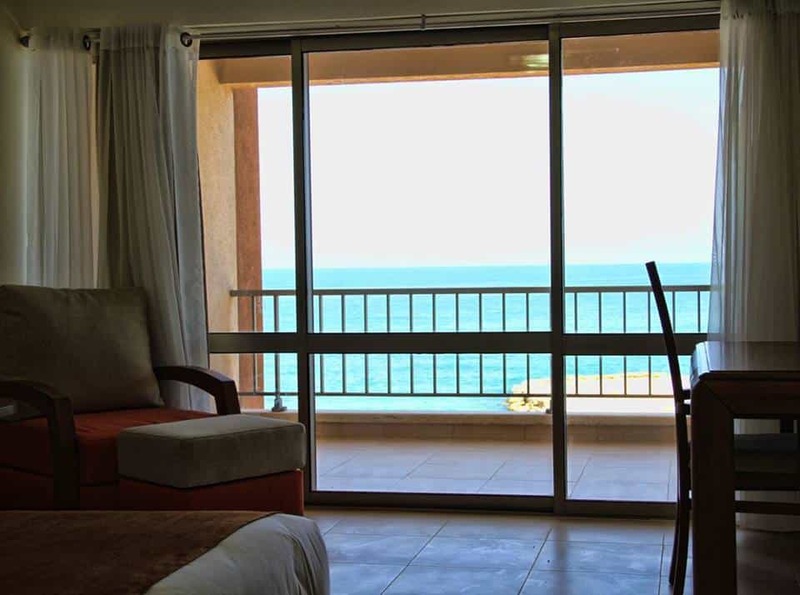 Blue Beach Chalets is one of PRICO’s (Palestine Real Estate Investment Company) investments, which has been established in 1994 as a public limited shareholding company. 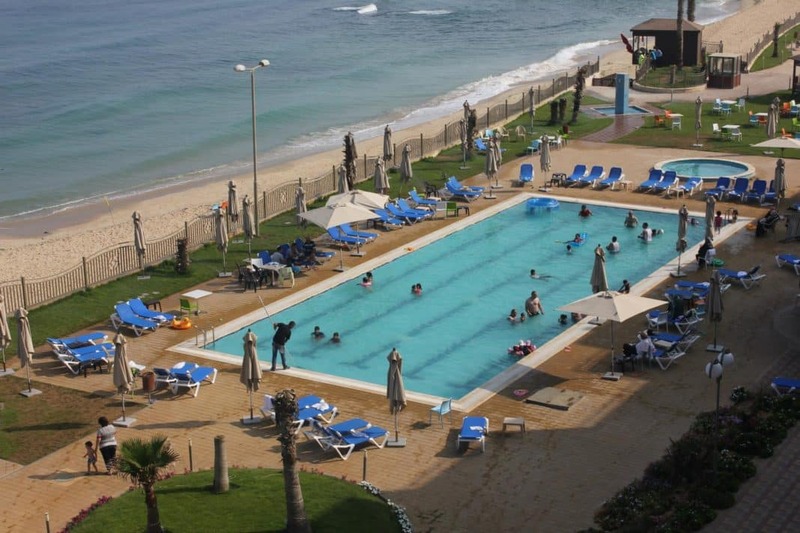 Blue Beach is a luxurious resort and one of the finest of its kind in Palestine, overlooking the Mediterranean Sea from the west, and Al-Rasheed Street from the east, located on the other side of Al-Mashtal Hotel. 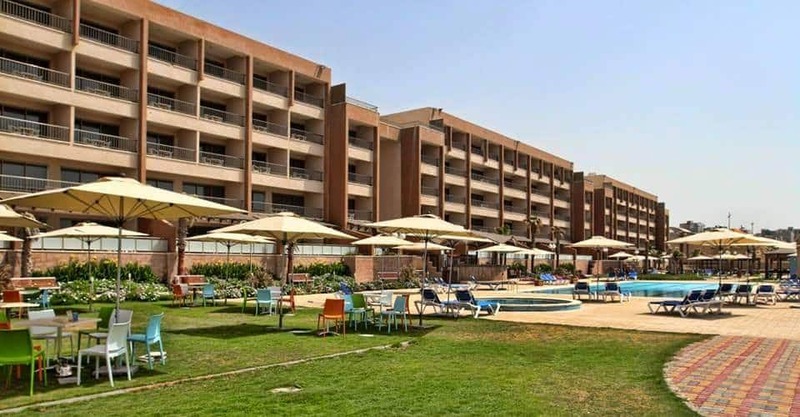 The resort has been specifically designed to be the ideal escape for family vacations and for recreational and relaxation purposes, away from the daily life hustle and bustle. 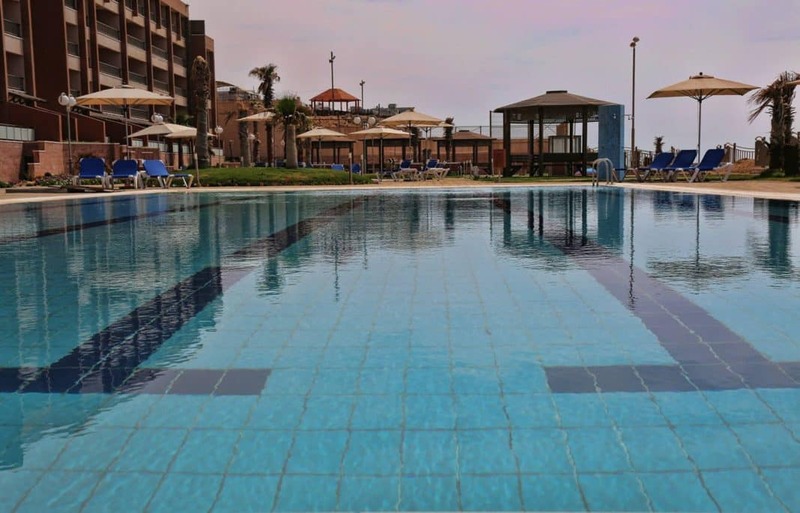 The total area of the Chalets is 21,000 square meters, within which 15,000 square meters are built areas consisting of four buildings for chalets and one for leisure services and facilities, whereas the remaining 6,000 square meters are green areas, consisting of two swimming pools, a Jacuzzi and family sitting areas. The entrance has been designed to be accessed from the fifth floor, as the land -where the Chalets are built- are higher from the sea level. The Chalets are designed in a unique and elegant manner, featuring a distinctive architectural form and luxurious interior spaces, available in various areas; as it consists of 52 single chalets and 80 double chalets. The first two buildings consist of four floors and a ground floor, whereas the other two consists of three floors and a ground floor. 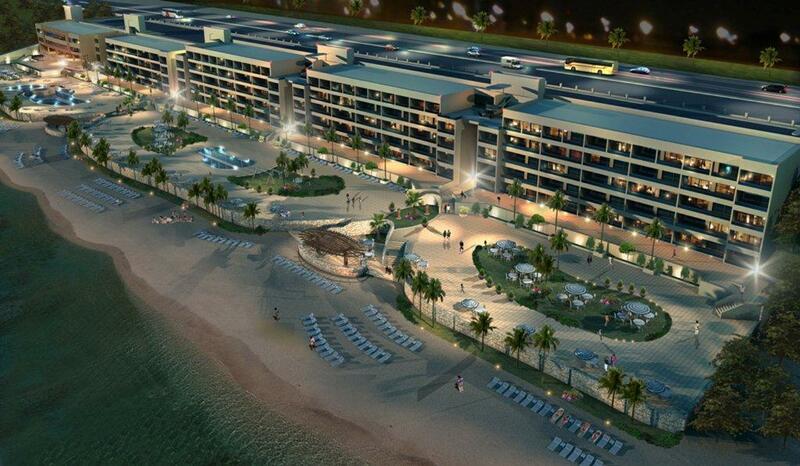 Each provided with seven elevators serving the tenants to facilitate their mobility from one place to another. The building, including the leisure facilities, consists of three floors and a ground floor. The ground floor has been designed to accommodate a chain of luxurious restaurants with a total area of 1400 square meter used by all types of clients –tenants or non-tenants-. The first floor has been designed as a computer and video games hall for children and youth with a total area of 1250 square meter, whereas the first floor has been dedicated for bowling purposes with a total area of 1250 square meter. The last two floors has been intended for terraced coffee shops with a total area of 1250 square meter, in addition to providing a car park for Chalets’ visitors and tenants accommodating 150 cars. Seatac – what happens if you earn $15 minimum an hour?